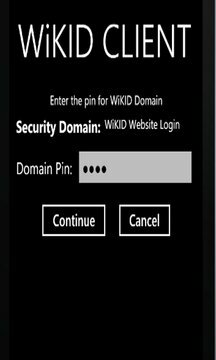 The Windows Mobile Software Token for the WiKID Strong Authentication System. Works in conjunction with the WiKID Server only. Please see http://www.wikidsystems.com/?wm7 for more information. Updates: You can now prepend the domain identifier with an asterisk to indicate a DNS-based identifier.